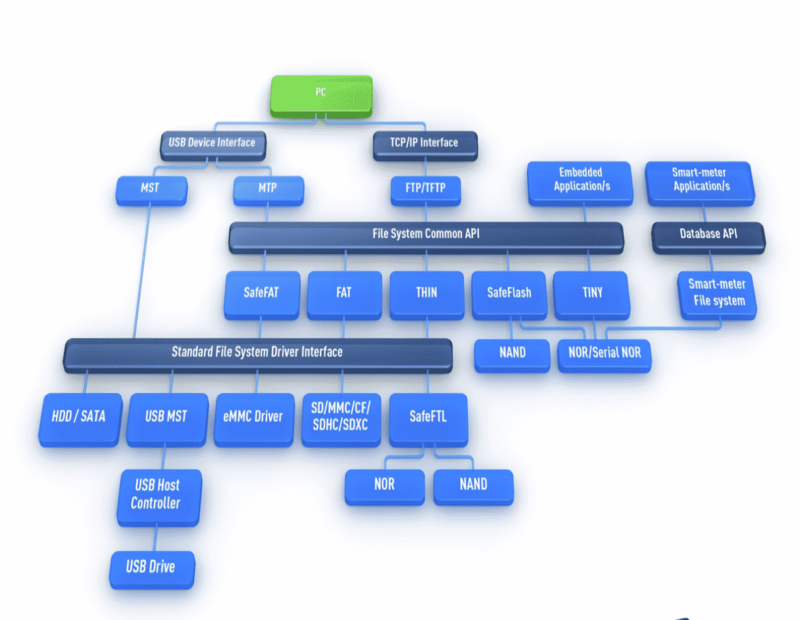 HCC provides the building blocks for implementing connected smart devices including TCP/IP Stack, USB Stack and File Systems. The key to a successful embedded application is to use high-quality software that is verifiable and ensures a stable, low-risk development platform. HCC offers Networking solutions, USB stacks and file systems to fit the most demanding customer’s needs. HCC enables you to supply peripheral software for any embedded processor with seamless support independent of any specific RTOS or scheduler. HCC is portable – it simply drops-in, even if you use no RTOS or a scheduler you developed yourself. If you need a complete, integrated solution HCC supplies eTaskSync, a highly efficient scheduler which is available with a full software verification suite including a static analysis report, MC-DC testing, and 100% statement and object code coverage. Why lock your future development to a single RTOS, MCU or compiler? Any RTOS: including FreeRTOS, ThreadX, TI-RTOS, CMSIS-RTOS, OSEK/VDK, MQX, uC-OS, Keil RTX and many more. Any Compiler: clean and readable code, compiles cleanly with no #def or PRAGMA. Fully Portable: switch RTOS, MCU, development board, endianess, or compiler, with no code modifications. 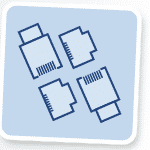 HCC’s packet processing runs up to four times faster than comparable embedded stacks, while using around 14kB of ROM, in a typical application scenario. RAM requirements can vary widely depending on application needs but are typically as low as 12kB. It is possible, with a minimum configuration UDP application, to use less than 5kB of ROM and a few hundred bytes of RAM (plus network buffers). HCC’s offers tight integration of file systems, serial and Ethernet interfaces to support communications between different protocols. Connecting different devices to a PC used to involve many hardware interfaces and protocols, for example Ethernet ports, serial ports, ATA/IDE interfaces, audio ports, video adapters and so on. Embedded USB stacks from HCC are mature, widely used stacks that can support almost any desired USB configuration. 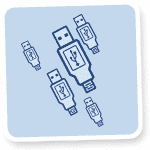 The USB suite includes solutions not only for common functions like HID, Hub and Mass Storage but also for more sophisticated requirements including Isochronous, Composite Devices, and interfaces to File Systems and Ethernet. This means developers can exploit USB to its full capability with ease without having to worry about developing highly specialized drivers.